1. For the crust, preheat your oven to 350 degrees. Place the hazelnuts on a baking sheet and toast in the oven until golden brown, about 15 minutes. Remove the nuts from the heat and allow to cool. While the nuts cool, place the butter in a small sauce pan and melt over low heat. Place the hazelnuts in the bowl of a food processor and chop until you have a fine, floury consistency, then combine with the flour, sugar, and salt in the bowl of a stand mixer. Using the paddle attachment, mix on medium-low speed while slowly pouring in the butter. Continue mixing until all the butter is incorporated. Turn out the crust mix into a 9-inch springform pan and press into an even, ¼-inch layer with the crust extending 1 inch up the side of the tin. Cover with pie weights and blind-bake until crust is golden, about 25 minutes. Once done, remove pie weights and let cool. 2. For the cheesecake, turn your oven up to 450 degrees. Place all the filling ingredients in a food processor and blend till smooth. Pour out into the finished crust, cover pan with aluminum foil and bake in for 8 minutes, then turn oven down to 200 and continue baking until the cake is barely set, about 1 hour. Turn off oven and remove the aluminum foil. Let cheesecake cool in the oven with the door slightly ajar for another 2 hours. 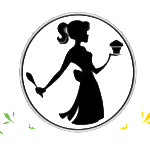 Remove cheesecake to your refrigerator and chill overnight. Slice and top with cherries. 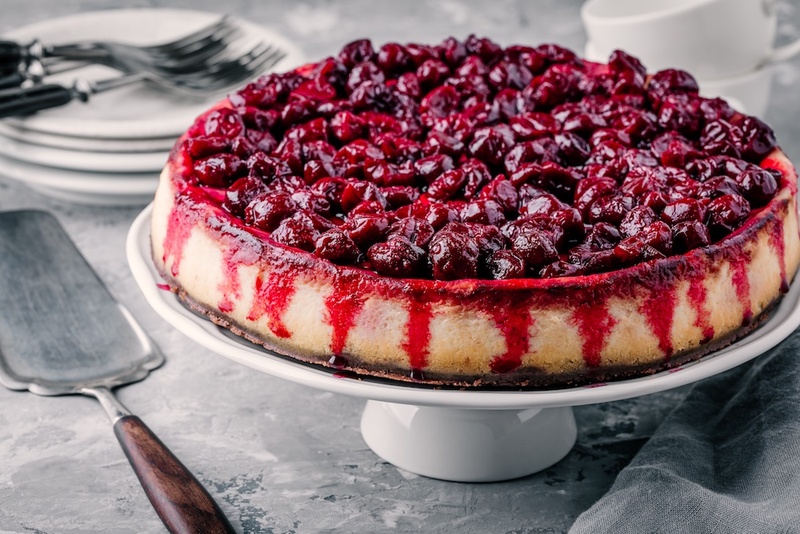 This Delicious Cheesecake with Cherries Recipe is from our friends at American Spoon. 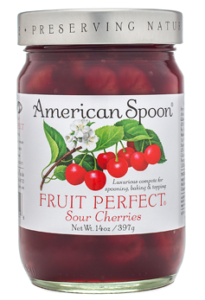 American Spoon handcrafts fruit preserves and condiments in small batches, capturing the singular flavors of exceptional fruits in every jar. To order the topping for this recipe visit: American Spoon.